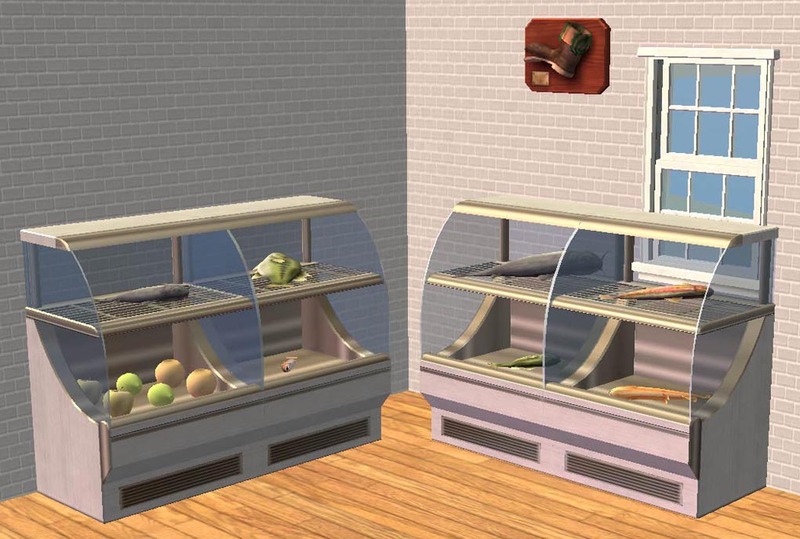 Update: LFact has pointed out that there may be a bug with the grocery basket. I will need to confirm this in my game, but it will be a while until I can fix it. Until then, if you have an issue with your sims getting groceries delivered, it is probably due to the extracted basket. Just delete it from your downloads folder. As I looked to take full advantage of the OFB EP I've had for 6+ years by finally building some businesses, I became completely enamored with the various collections of unbuyable Maxis objects that were enabled for placement in the game. However, I was dismayed to realize anyone with Seasons or above was unable to use these collections! So I had to steal my fiance's laptop and do it myself. 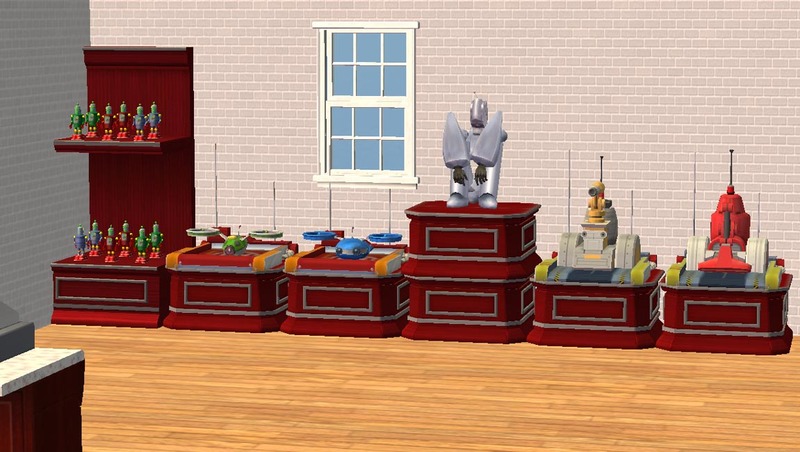 This is a set of the OFB objects one can make with the craft tables that come with that EP, enabled for catalogue purchase in both residential and community lots. As they are cloned directly from the originals, they operate exactly the same, with all the same features and interactions. The only difference is your sims don't need to spend hours making them when it comes time to restock. I have also included all the fish and fruit tree fruit from Seasons--and these objects operate the same as if you'd grown/caught them in-game. Place them on your lot, then put them in your Sims' inventory and direct him to stock the fridge. 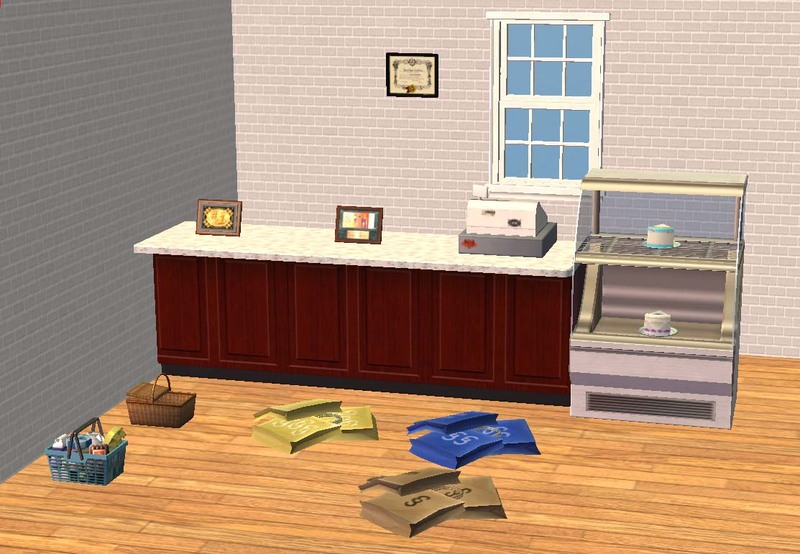 Also, I cloned some other nifty business/shopping-related objects from both the base game and the EPs, including the shopping bags, the wicker basket, the shopping/food basket, the business achievement certificates/awards, and single slices of wedding cake and birthday cake. Please note that the cake slices are strictly decorative—they cannot be eaten, and they and the shopping bags cannot be picked up with the hand tool, even with move objects enabled. Once they're placed, you'll need to turn on the moveobjects cheat, then use the sledgehammer tool to delete them. One cool thing about extracted Maxis objects is, if you just need them placed in one lot, you can delete the files after placement--because they're cloned from themselves, the game will put in the originals as placeholders. Loopholes rock! Sentrybot, Munchiebot, CleaningBot, HydroBot, Servo, Hover Station, Rover Station--Electronics/Misc. Cake slices, shopping bags, wicker basket, business achievement awards, boot--Decorative/Misc. For some odd reason, the shopping bag shows up bright blue by default. Click on one of the "recolors" to add the texture on. Use the sledgehammer tool to delete/move the cake slices and shopping bags. The prices of each object vary and reflect the what the originals sell for in buy mode. Those objects that cannot be resold, such as the cake slices, cost nothing. Base Game.zip contains the items available in the base game, including the shopping basket, the birthday cake slice, and the wedding cake slice. Should be base game compatible. 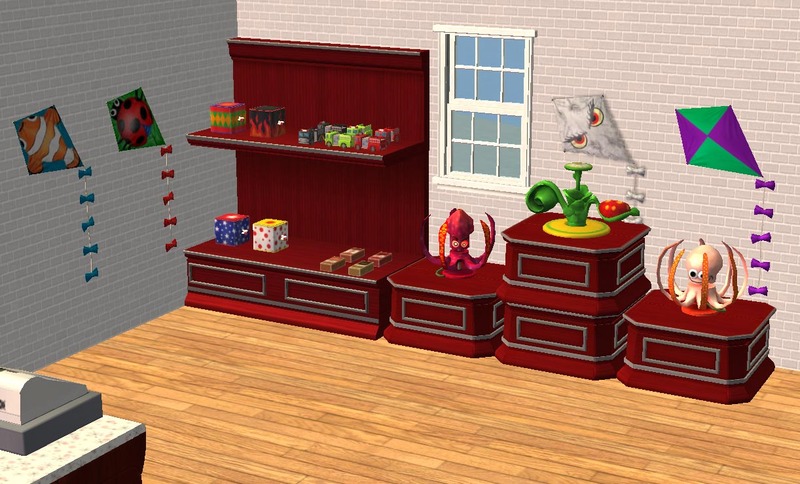 OFB.zip contains the items that came with OFB--the craft table objects, the business rewards, and the shopping bags. OFB is required. Seasons.zip contains the items that come with Seasons--the wicker basket, the fish, and the fruits from the fruit trees. Seasons is required. As always, please let me know of any bugs right away, and I'll do my best to fix them.